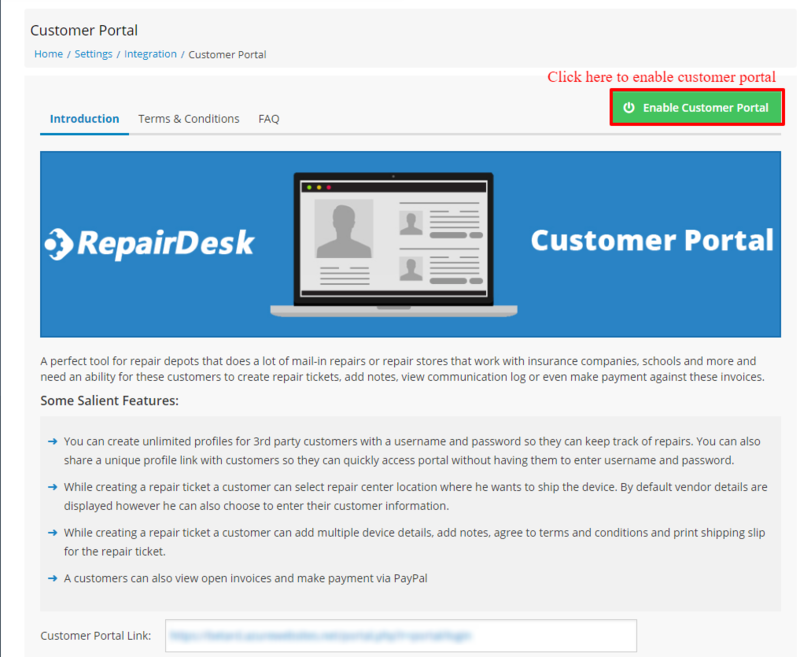 A perfect tool for repair depots that does a lot of mail-in repairs or repair stores that work with insurance companies, schools and more and need an ability for these customers to create repair tickets, add notes, view communication log or even make payment against these invoices. 1. You can create unlimited profiles for 3rd party customers with a username and password so they can keep track of repairs. 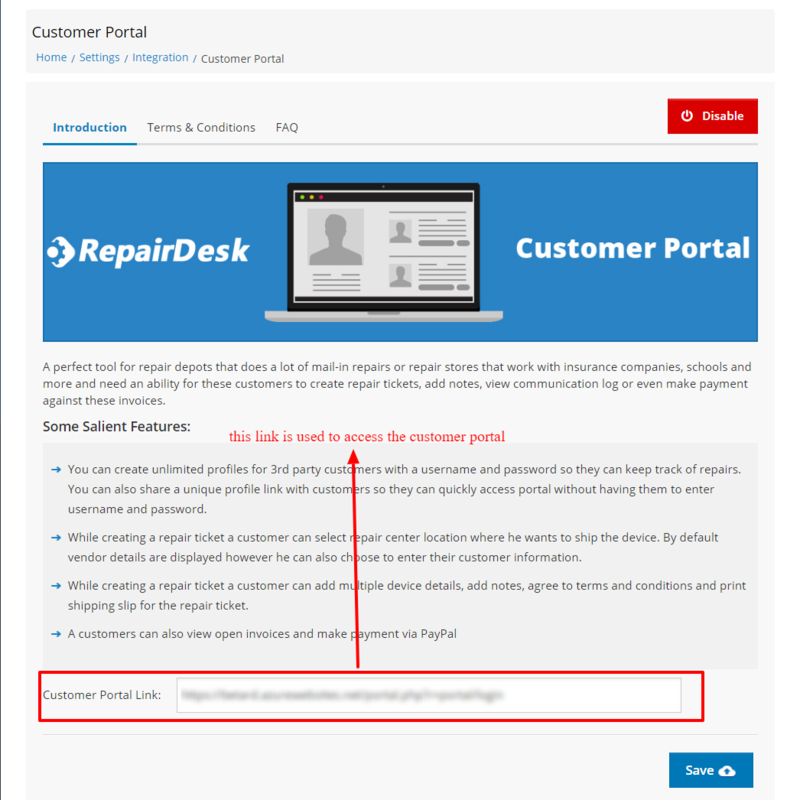 You can also share a unique profile link with customers so they can quickly access portal without having them to enter username and password. 2. 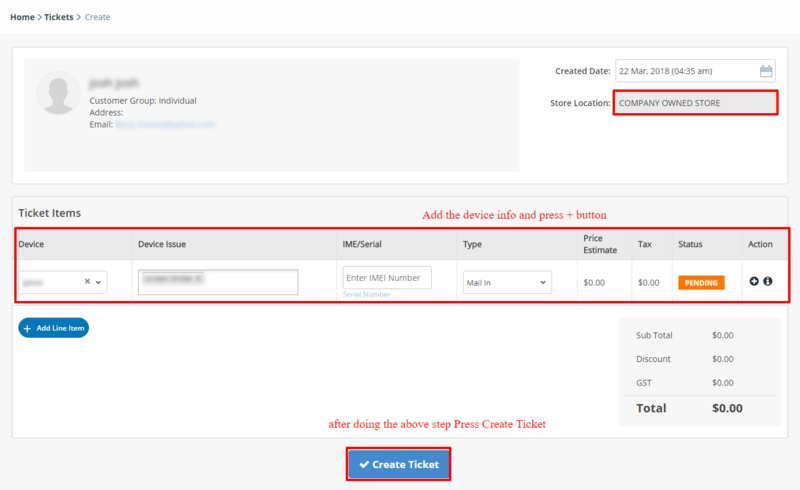 While creating a repair ticket a customer can select repair center location where he wants to ship the device. 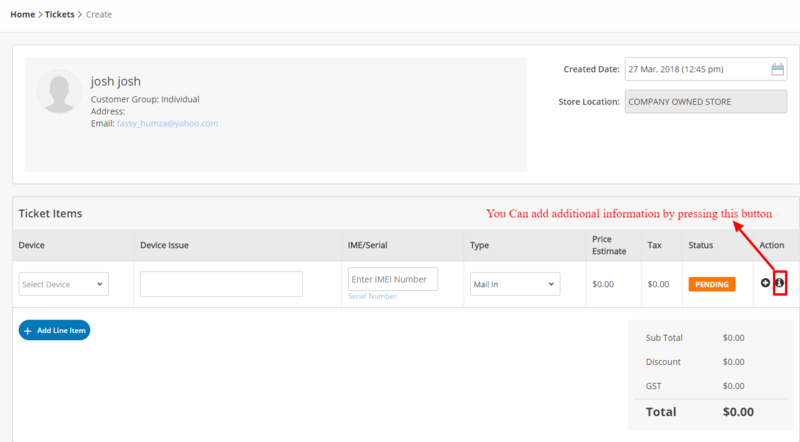 By default vendor details are displayed however he can also choose to enter their customer information. 3. 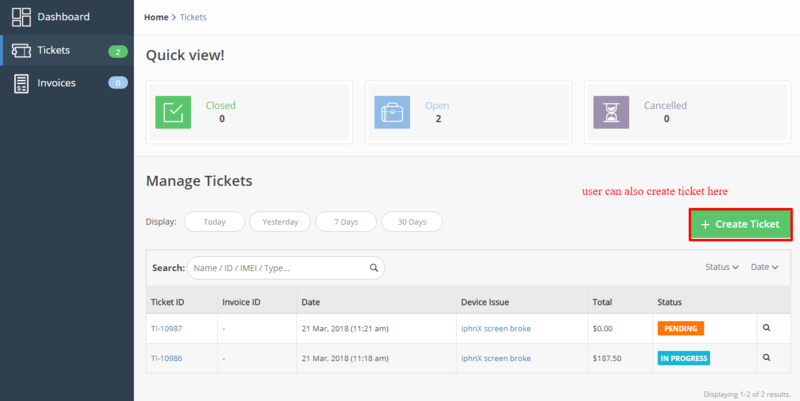 While creating a repair ticket a customer can add multiple device details, add notes, agree to terms and conditions and print shipping slip for the repair ticket. 3. From this page you can enable or disable b2b customer portal module. Note: From this window you can also add "store terms and conditions" for mail-in repairs so that client accepts when booking in a ticket. 4. 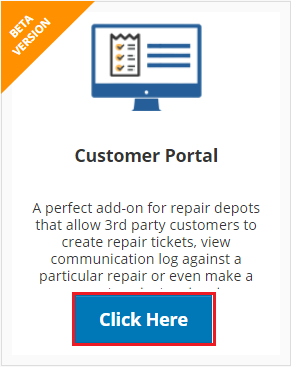 Please copy the link (shown below) and place it on your website so that your 3rd party customers can enter their username and password to view their tickets or invoices. 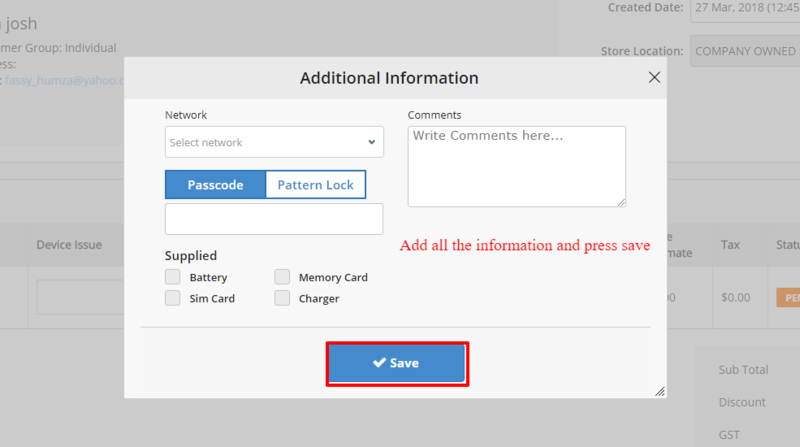 How to step customer login details? I. 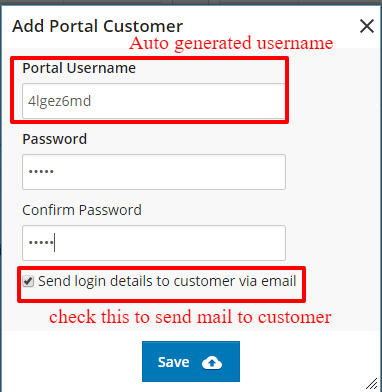 Follow these simple steps to generate ID for customer portal. II. Customer detail view window will open, here click on + customer portal. III. After clicking portal customer a new popup window will open where user name will be auto generated, enter password, check the box for send these credential to customer and press save. V. When Customer click on click here to login, it will take customer to portal login page, where he can add the given credential to proceed further. Or you can use the link provided at the time of enabling customer portal. VI. Press login to land on the awesome portal which is for the ease of the user. 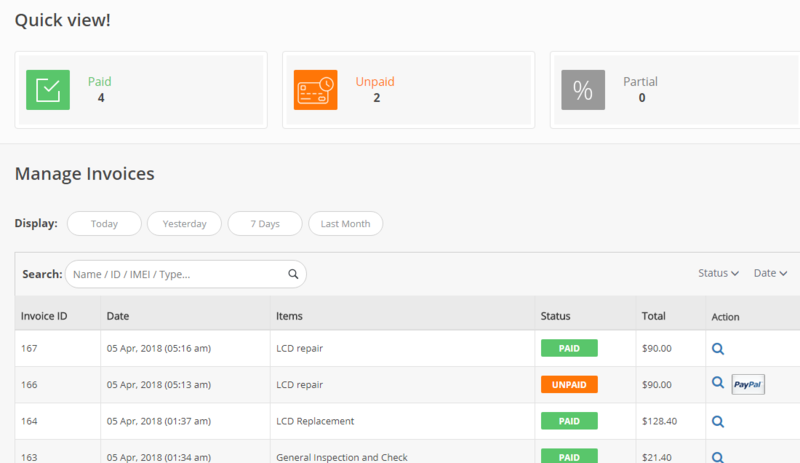 On the landing page user can see all the tickets and invoices associated to him/her. Here they can add a ticket and check their statues e.g. open, closed and cancelled. 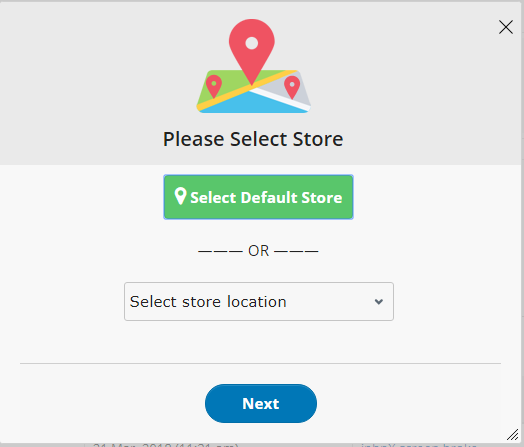 · Press create tickets, system will ask you to select the store location where you want to make ticket select your desired store and press next, if you have only one store location it will move to ticket page directly. · Enter all the data in the given fields, add row and then create ticket. That ticket will be generated at repair desk. In order to add additional information click the highlighted icon . 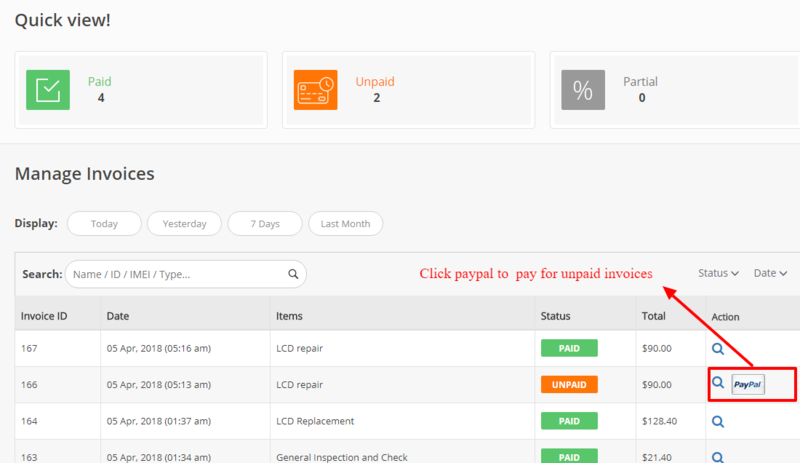 · You can view the invoice detail .by clicking view under invoices.